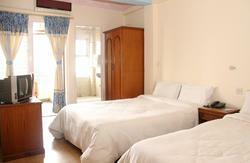 Kathmandu HI Thamel hostel is operated by Nepal youth hostel council. 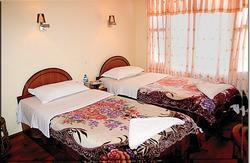 This hostel is established according to the philosophy and principal of Hosteling . It provides the quality budget accommodation in safe,clean and friendly surrounding at an affordable price for the international and domestic guest and traveler. Hostel is situated in the heart of downtown Kathmandu Valley ,where Banks,Hospitals,department store are located nearby. 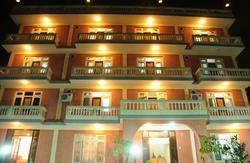 One of the famous Royal palace ,Basantpur Durbar Square is nearby from hostel. Bus:From Ratnapark bus stop is just 15 minutes by walking to hostel.Thamel is about 45 minutes by bus from International Airport. Airport:Tribhuwan International Airport - Kathmandu HI Thamel is about 7 KM from the International airport.